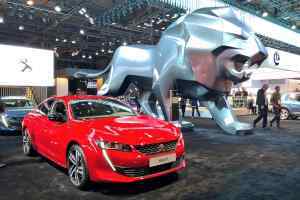 The 2018 Paris Motor Show is underway, we’re in the thick of the action, elbowing our way to the front of the stands to bring you the hottest reveals. In truth, you’ll have seen the press photos before the event, but this is our first chance to see many of the cars in the metal. Let us do the walking, so you don’t have to. 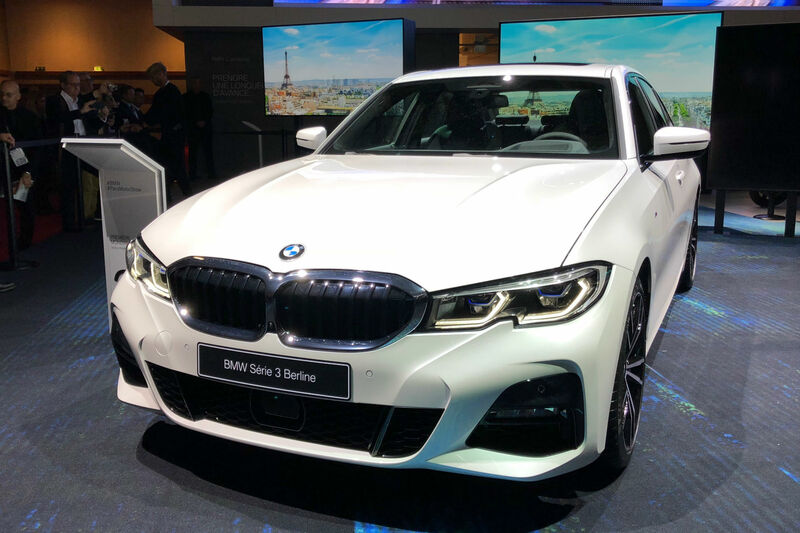 The new BMW 3 Series is proving to be as popular as a half-price TV on Black Friday, and the media scrum here in Paris is just as frenzied. Which is kind of strange, when you think that, very soon, this car will be everywhere. Queuing at the Starbucks drive-thru for a flat white, clogging up office car parks in Reading, Bracknell and Newbury, and generally going faster than you on the M4. But, give the 3 Series some credit. 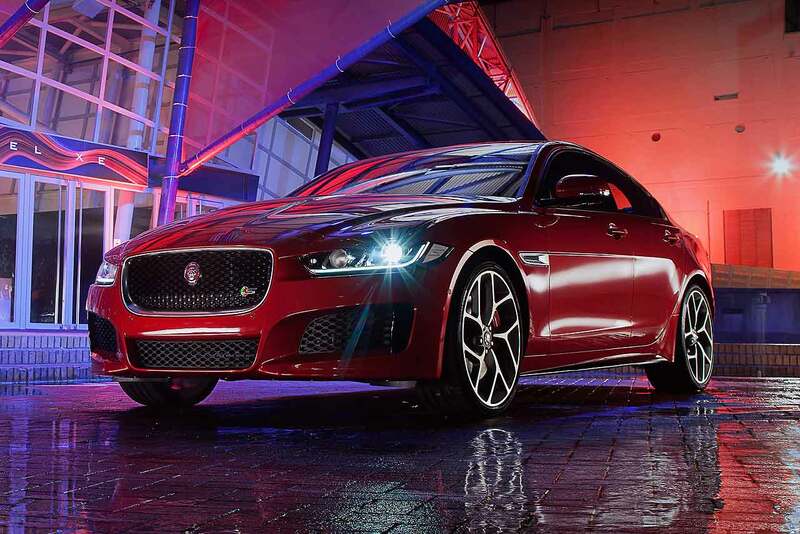 Since 1975, it has been the default choice in the segment, staying one step ahead of its rivals and cementing itself as the world’s most popular premium exec. We’ll be driving it very soon, by which time our feet may have recovered from pounding the Paris floor. Porsche hasn’t flown the new Martini-liveried 935 over from Laguna Seca, so we were tempted to give its stand a miss. 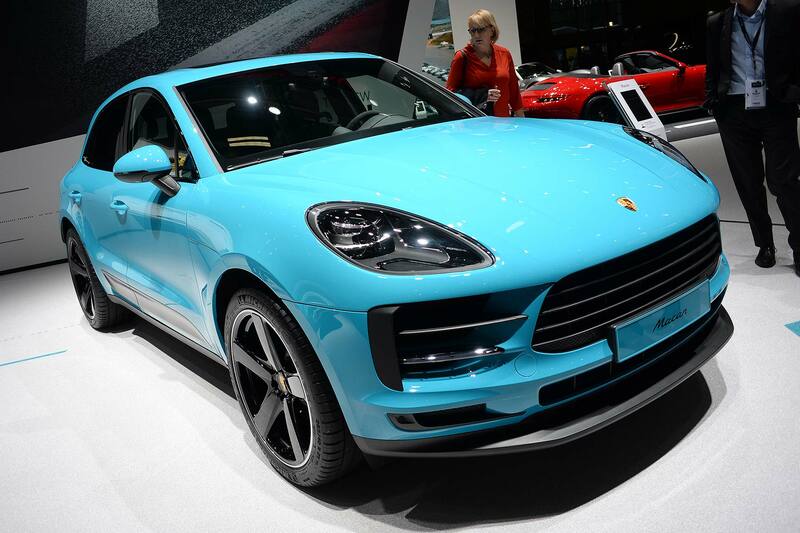 But, while a £750,000 retro homage is certainly special, the 2019 Porsche Macan is more significant for us mere mortals. The 935 is the car your kids will dream about, but the Macan is the car they’ll travel to school in. 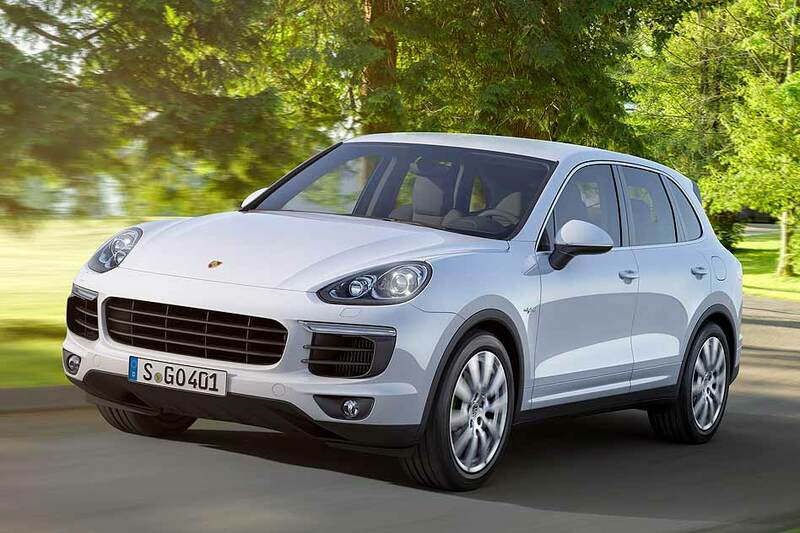 The Macan has been an incredibly successful car for Porsche, with some 350,000 sold since its launch in 2014. 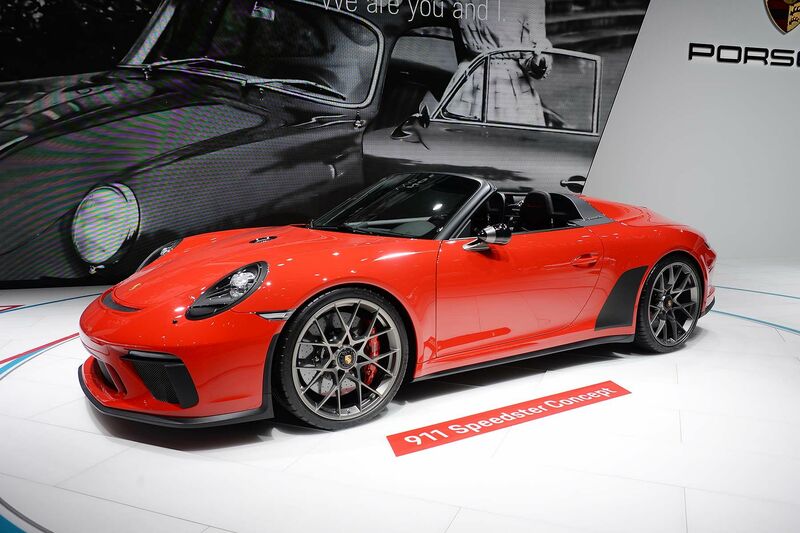 For the facelift, Porsche has added a 10.9-inch touchscreen, a GT sports steering wheel, LED headlights as standard, a three-dimensional LED taillight strip, new 20- and 21-inch alloys, a tuned chassis and a host of other upgrades. It’s great, but it’s no 935. It might be one of the smallest cars on show in Paris, but since when did size matter? 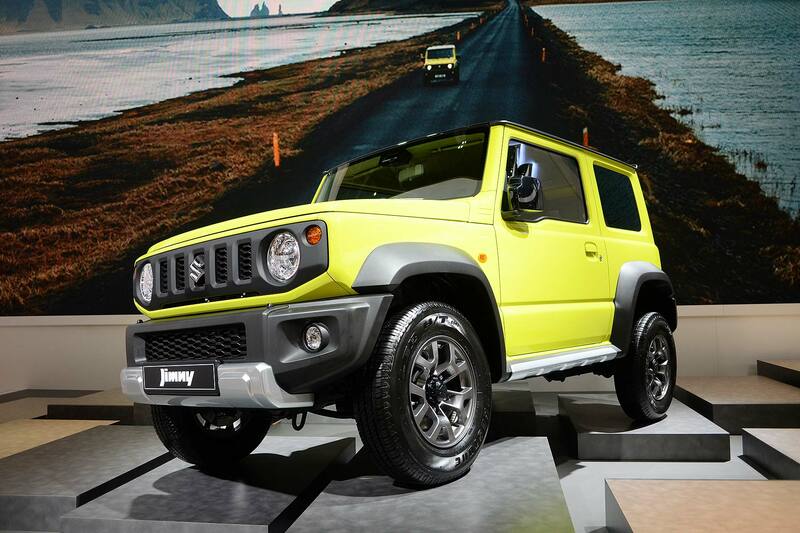 What the Suzuki Jimny lacks in mass, it makes up for in off-road ability, and offers a level of charm that is off the scale. Suzuki GB has received more than 3,000 registrations for the fun-size 4×4, but this number will increase before the Jimny hits the road in 2019. You want one, obviously, but there are two or three question marks hanging over the half-pint off-roader. Firstly, how much will it cost? We reckon something in the region of £17,000, depending on spec. Secondly, how long will you have to wait before taking delivery? It could be months. Thirdly, how much of an issue is that three-star Euro NCAP safety rating? Only you can decide that. Lamborghini is giving Paris a miss, which leaves Ferrari to hug the Italian supercar limelight. 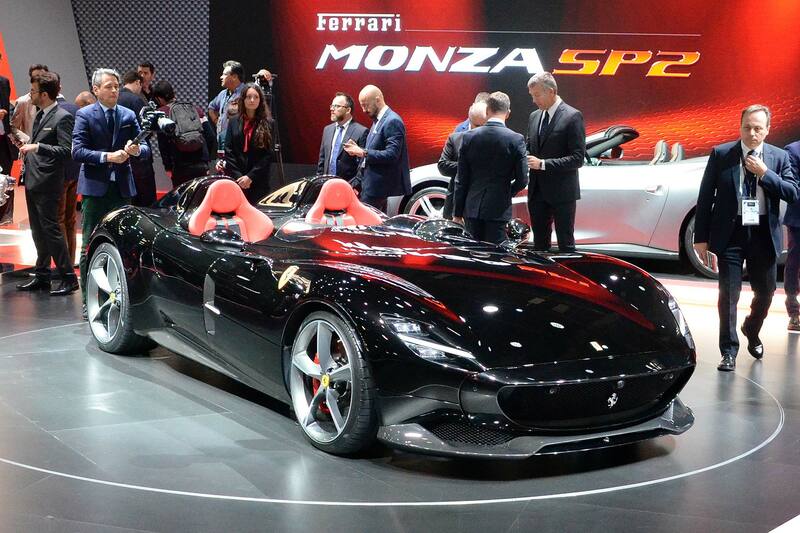 The new Monza SP1 and SP2 models are the first in a new segment called ‘Icone’ and draw inspiration from Ferraris of the 1950s. The SP1 is a single-seat road car, while the SP2 does away with a tonneau cover and adds a second protective screen to become a two-seater. 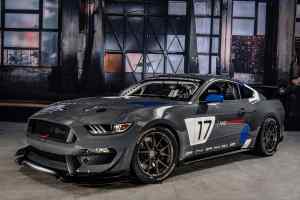 Each one will hit 62mph in just 2.9 seconds. Predictably, they’re drawing a huge crowd in Paris. Does anybody have any step ladders we could borrow? 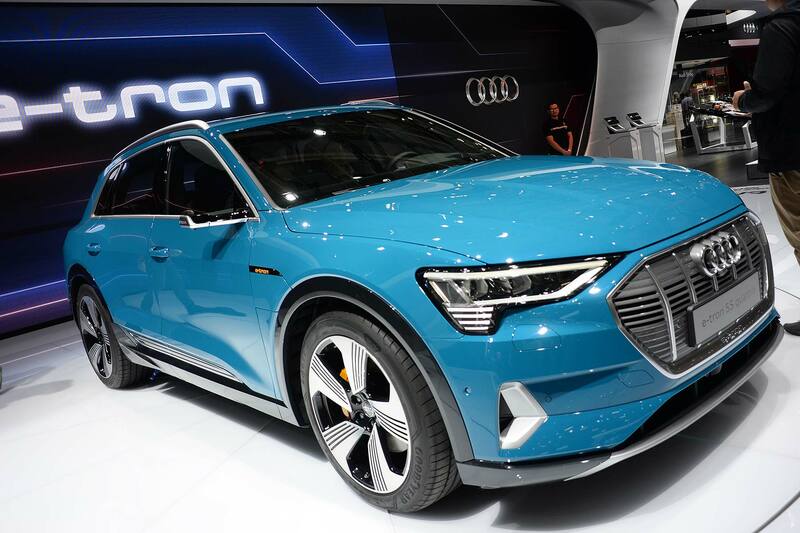 What you’re looking at is the beginning of Audi’s assault on the EV sector, the first of 12 all-electric cars to be launched between now and 2025. The ‘undirty’ dozen, if you like. A little like the EQC, it’s not what you’d call attractive, but it’s unmistakably an Audi, more cohesive than the Q2 and more interesting than the Q3 and Q5. It features a 95kWh battery – only the Model X battery is bigger – with Audi quoting a 249-mile range and a 0-60mph time of 6.4 seconds. We’re expecting it to cost around £70,000 when it goes on sale in the UK, although this price will reduce once the Plug-in Car Grant is subtracted. A note about the cabin, which looks less cutting-edge than the EQC’s, but is typically Audi-grade. 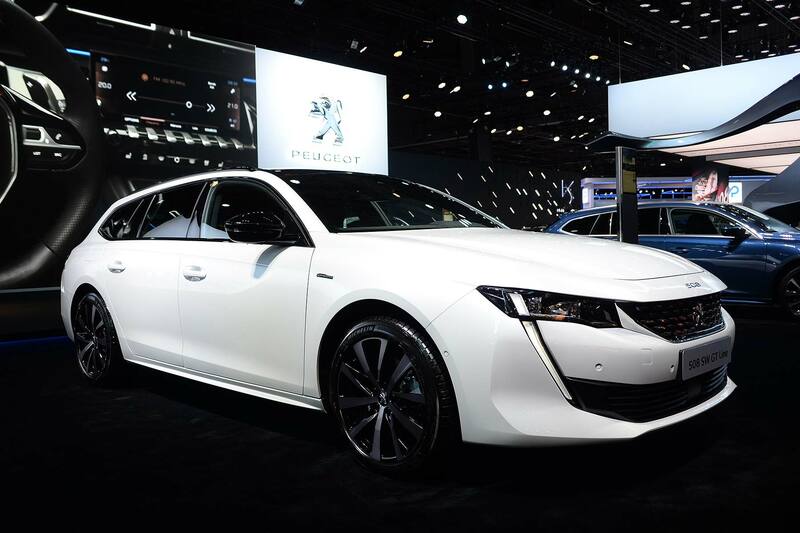 It’s rather sad that cars like the Peugeot 508 SW are a dying breed, suffocated by the might of the SUV. The fact remains, that while SUVs are undoubtedly practical and well-suited to family life, an estate car will always be better to drive and feature a large loading area. So, please welcome the 508 SW with open arms. It’s a great looking thing – almost as eye-catching as the 508 saloon – and the boot is large, wide and flat, especially if you fold the rear seats down to reveal a load area of 1,780 litres. Up front, the cabin is visually arresting and rather engaging. Unfortunately, it’s likely to be a niche product when it goes on sale in the UK in January. In the same way that the Hyundai i30 N managed to muscle in on the hot hatch party, the i30 Fastback N is hoping to steal sales from the Audi A5 Sportback and BMW 4 Series. A tough ask, but if the hot hatch is anything to go by, it deserves to succeed. And, let’s remember, the Hyundai will undercut its rivals and offer a comprehensive five-year warranty. But the N badge is about so much more than price and warranties. Of all the cars we have driven this year, the i30 N has been one of the most impressive, so we’re itching to try this latest take on the N formula. In the meantime, we’re going to twist a few arms – we rather fancy an i30 N in wagon form. 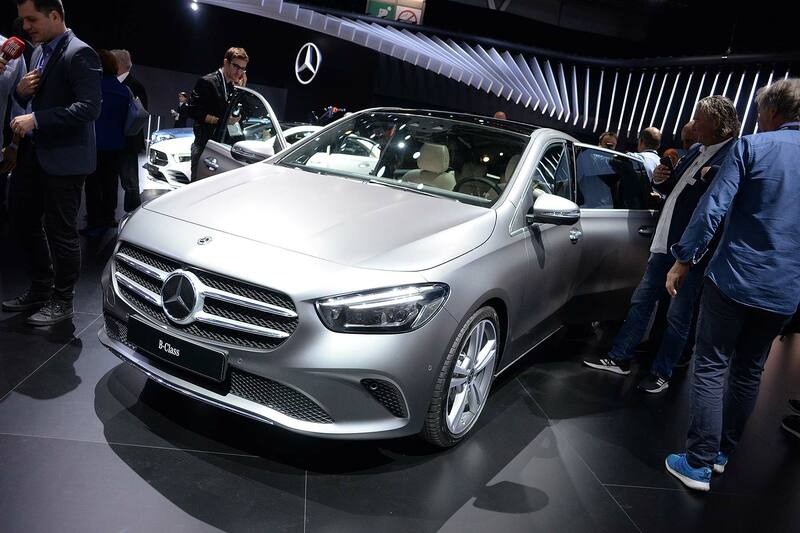 Mercedes says the new B-Class looks more dynamic than its predecessor, which is true. Then again, a tin of creamed rice pudding looks more dynamic than the old B-Class. Mercedes is also labelling it as a ‘Sports Tourer’, but it’s really an A-Class in an MPV suit. It might not be exciting to look at, but the B-Class shares its interior with the A-Class, which is a positive, while the infotainment system adapts to the behaviour of the driver. It’s also semi-autonomous and can be equipped with 19-inch rims. Nope, we’re not excited either. 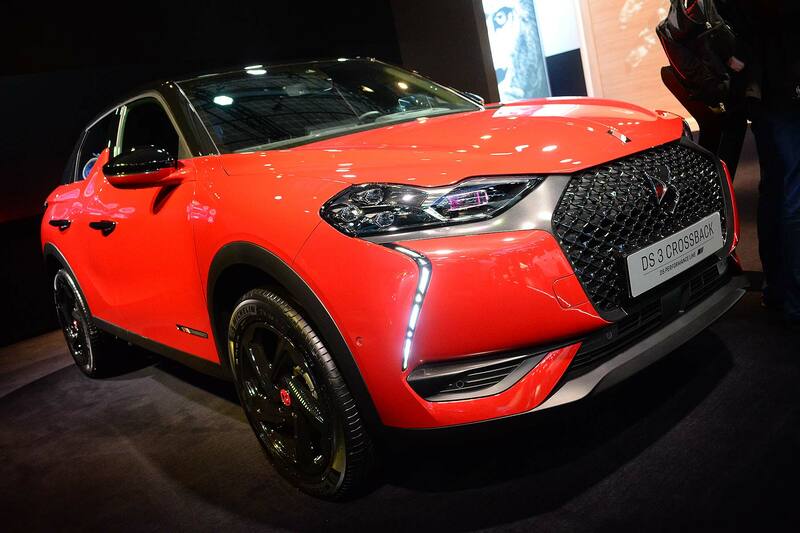 You might not like the design of the DS3 Crossback – we’ve read the online comments – but up close and personal, it looks every inch a premium compact SUV. There are neat touches, like the bejewelled headlights and Porsche-style rear light bar, while the cabin is inspired by the DS7 Crossback and feels very upmarket. Of interest is the E-Tense electric version, which received very little in the way of pre-Paris fanfare. With a WLTP range of 186 miles, it could give the Hyundai Kona EV a run for its money, assuming the price is right. Forget Will Smith in I Am Legend because this is the Peugeot e-Legend. It doesn’t preview a post-apocalyptic future – we hope – but it might give us a hint of a future Peugeot coupe. One thing’s for certain, the concept tips its hat to the 504 Coupe of the past. 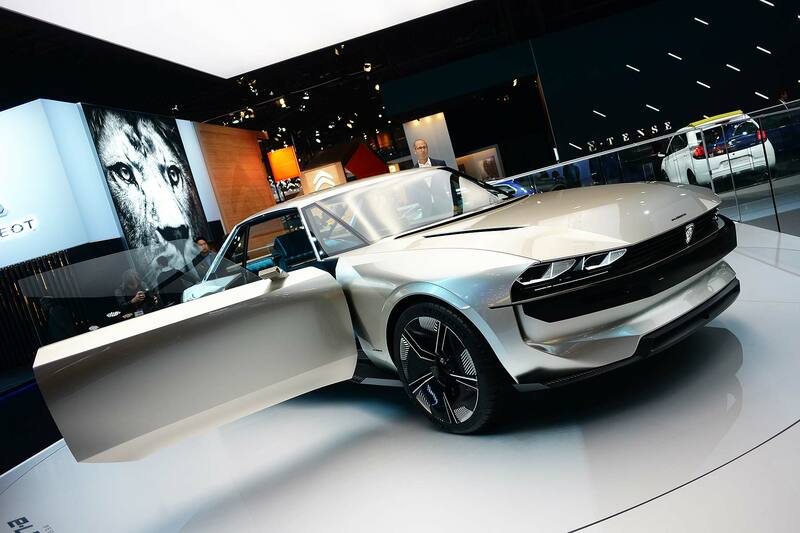 The 504 Coupe link is evident, especially on the inside, but we can’t help but see a touch of the Lancia Fulvia concept of 2003 when we look at the all-electric, fully-autonomous concept. Sadly, the Lancia never made it into production, but we hope this Pug has a brighter future. 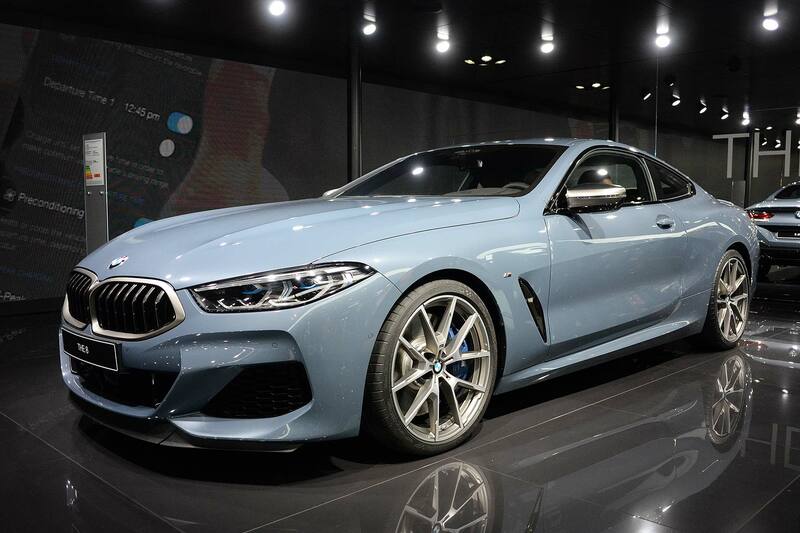 It’s not new – the BMW 8 Series was unveiled at the Le Mans 24 Hours race in June – but this is the first time we have got up close and personal with the GT car. In around a month’s time, the first UK customers will be taking delivery of what must be the best looking BMW in a generation. What can they expect? Well, the styling, led by Brit, John Buckingham, is a feast for the eyes, while the interior is bespoke to the 8 Series, with a dashboard focused on the driver. Head to the BMW website if you fancy a piece of the 8. 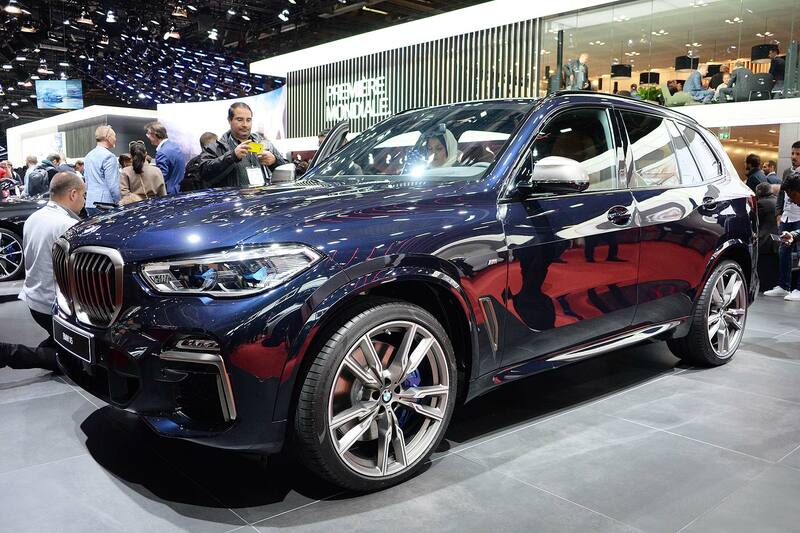 Prices start from £76,270, with the M850i xDrive weighing in at £99,525. 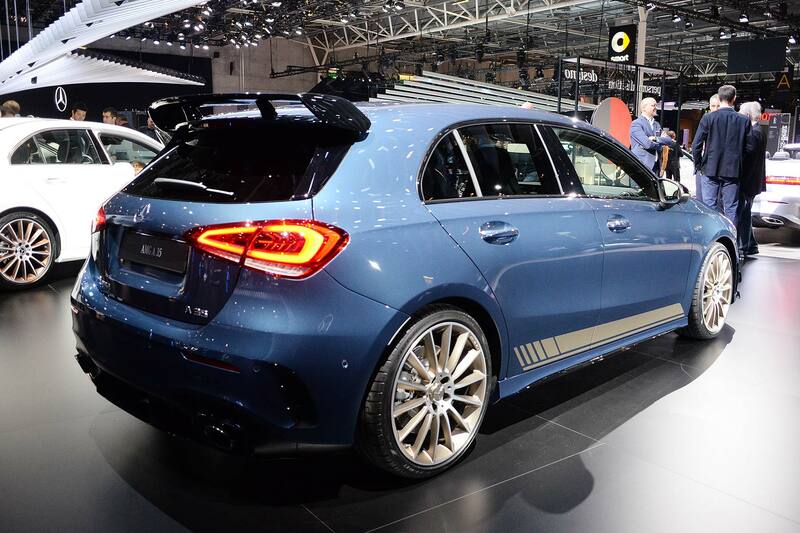 The Mercedes-AMG A 35 packs a 306hp 2.0-litre turbocharged engine and can hit 62mph in just 4.7 seconds. Torque is a punchy 295/b ft, while the top speed is limited to 155mph. 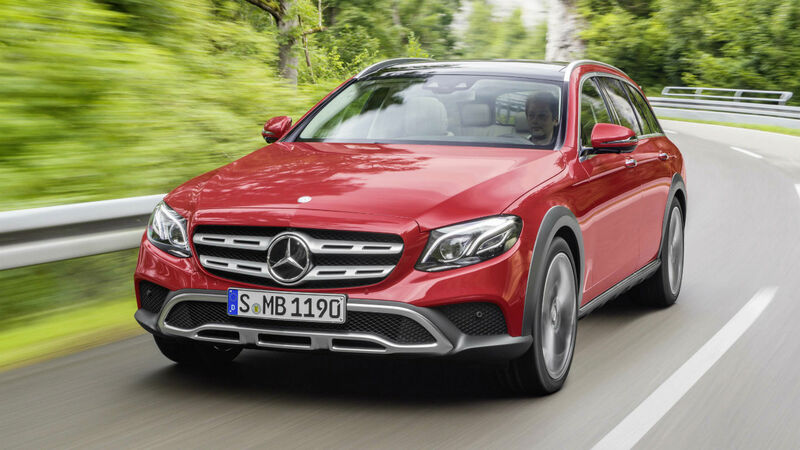 We tell you this because this is AMG’s entry-level performance car. As tasters go, this one is pretty hot. Naturally, it’s all-wheel drive – so seeing off a few front-wheel-drive pretenders from the lights should be a doddle – but don’t expect to see the claimed 39mpg if you engage in too many drag races. An A 45 will follow, presumably with 400hp to play with. The Smart Forease sounds like a reclining chair you might see advertised by June Whitfield during the ad break on daytime TV. 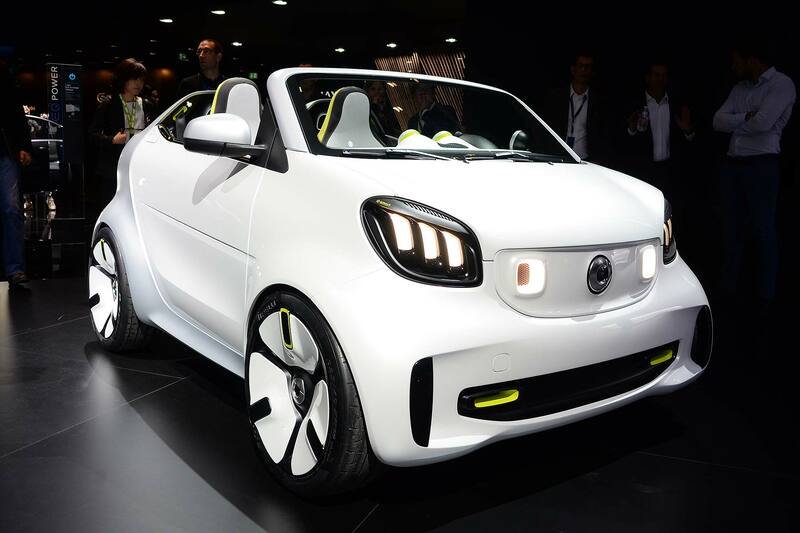 It’s also the name of the concept unveiled to mark the 20th anniversary of Smart, which will become an electric-only brand in Europe from 2020. 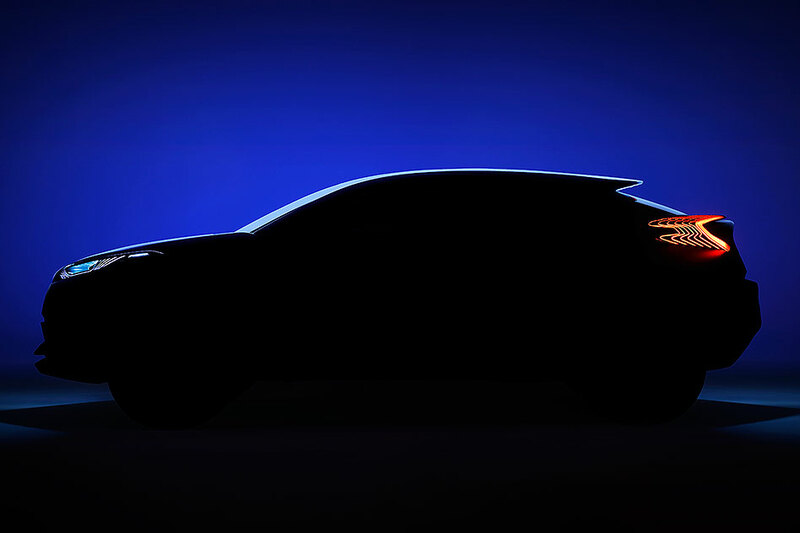 Thanks to its shorter windscreen and the absence of a roof, there’s more than the whiff of the Smart Crossblade about the Forease, which suggests it might make it into production, in some form at least. Great in St Tropez, not so great in St Ives, Cambridgeshire. Here’s another new BMW that has been doing the rounds since the summer, with the X5 already on sale in the UK. 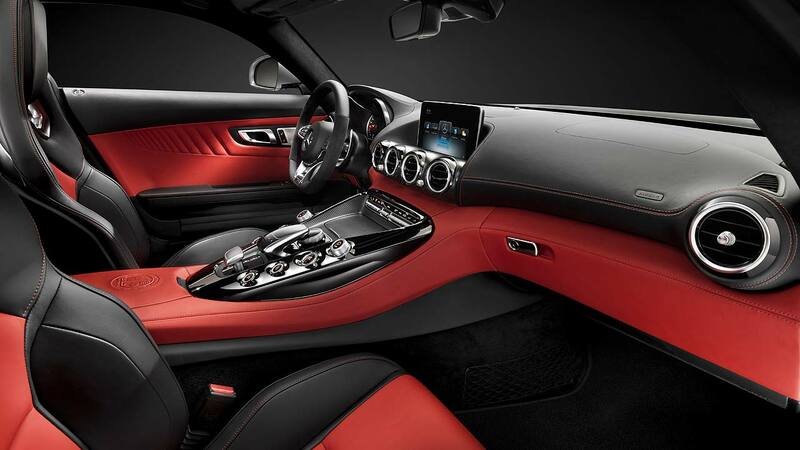 It’s noticeably bigger than before, while the interior looks and feels a step up on the outgoing model. Some 2.2 million X5s have been sold since the SUV was launched in 1999. Yep, that’s 19 years ago. Time flies when you’re having fun. Are we having fun yet? 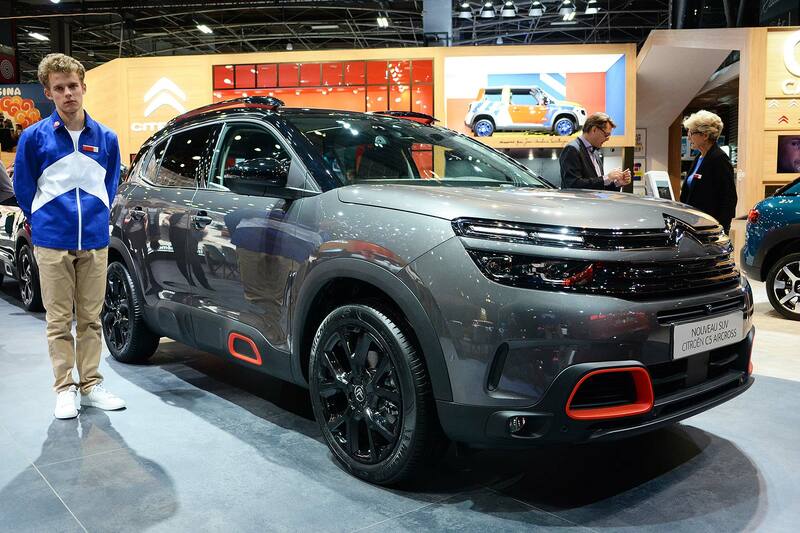 Here’s the new Citroen C5 Aircross SUV. 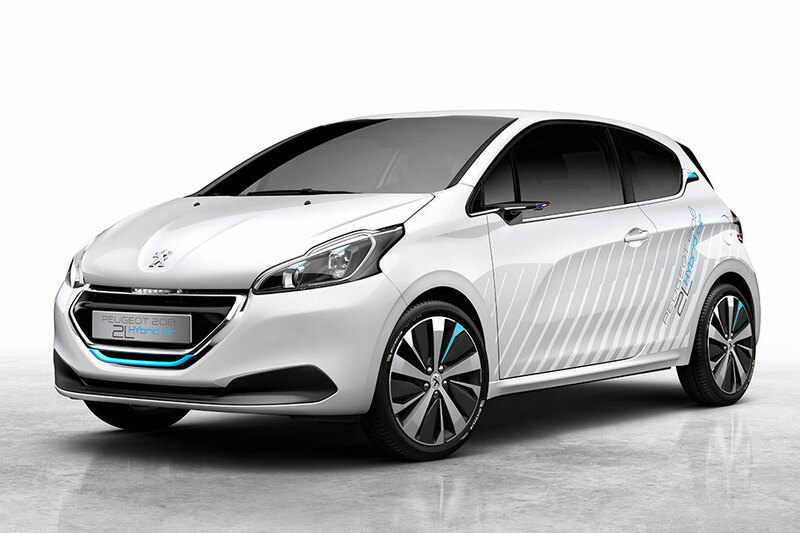 The line-up will include the firm’s first plug-in hybrid, with Citroen promising up to 31 miles of electric range. Citroen says that 80 percent of its cars will have an electric option by 2023 and 100 percent by 2025, so the hybrid version of the C5 Aircross is very much the shape of things to come. 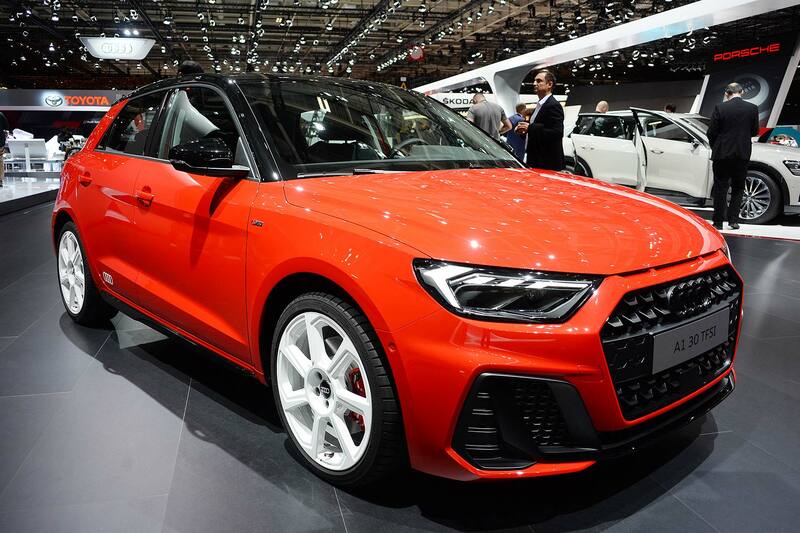 If you don’t like the look of the A1 we’re showing you, fear not, because this is the most configurable car Audi has ever built. For the first time, you can mix and match the exterior and interior trim lines until your heart’s content. It means that you can have the S line exterior with the interior of an SE. 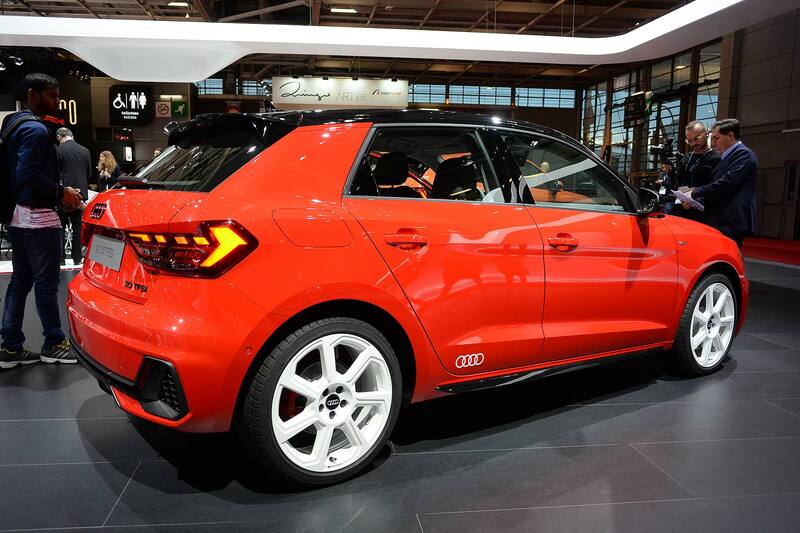 This is bad news for Audi dealers, as finalising the spec of each new A1 might be a long and laborious process. Better make sure the coffee machine is working. 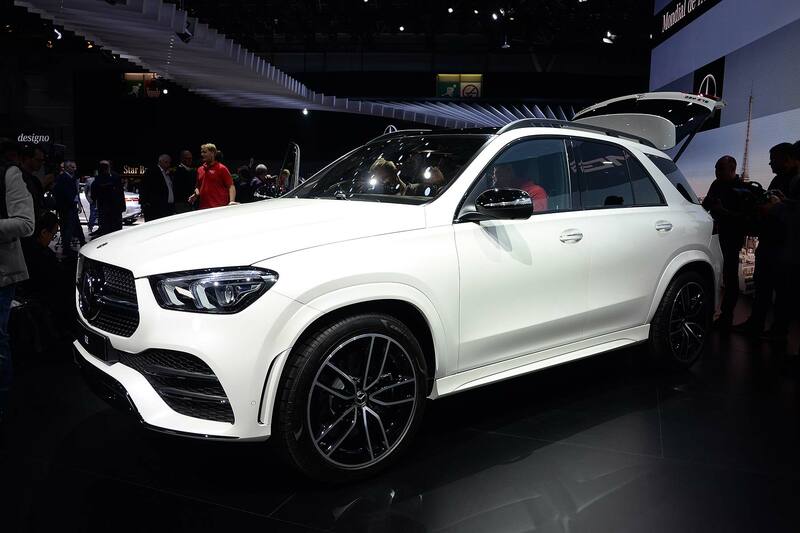 This Mercedes-Benz GLE is so clever, it can read the road ahead and prepare itself for bumps and potholes. It means that it should provide the most comfortable ride this side of strapping yourself to a giant marshmallow and being whisked along on a sea of pillows. After trekking around Paris, we could do with the GLE’s active air suspension on our feet. Alternatively, maybe we need a long lie-down in the boot, which stretches from 825 litres to over 2,000 litres. Hashtag cavernous. 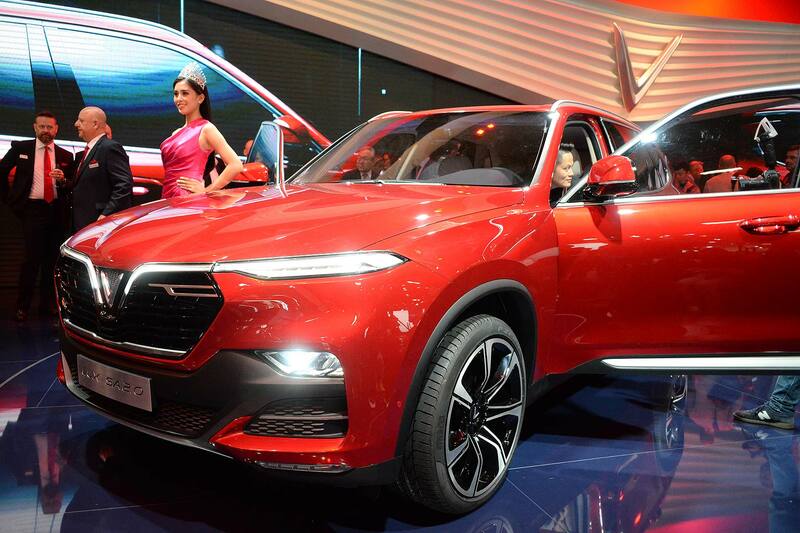 It might sound like the name of a warehouse selling cheap plonk, but VinFast is the first Vietnamese car company to participate in a major international motor show. Stick that in your memory bank for future pub quizzes. The firm is launching two cars, including this: a rather good-looking SUV, designed with a little help from Pininfarina. In a break from the norm, VinFast gave the people of Vietnam the opportunity to determine the firm’s styling direction, with 62,000 voting when presented with 20 design sketches. Good morning, Vietnam, you did a grand job. 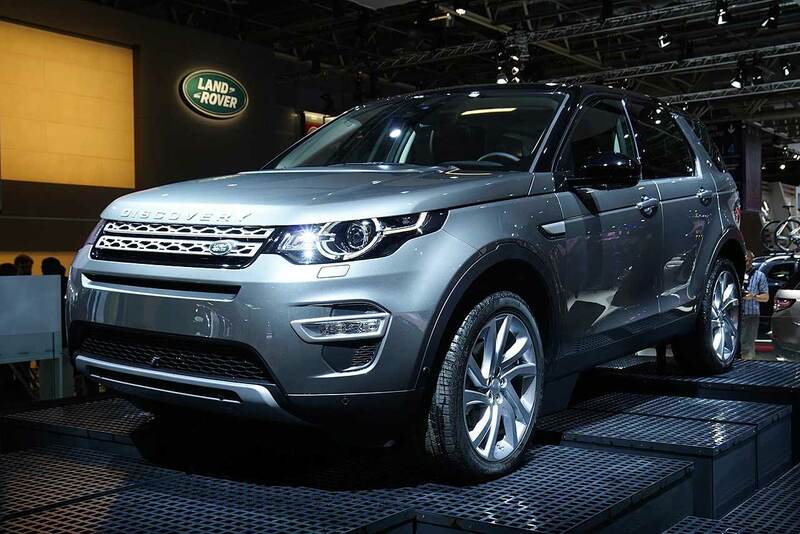 Imagine doing something similar in the UK: it would be clad in Burberry, upholstered by DFS and called SUV McSUVface. 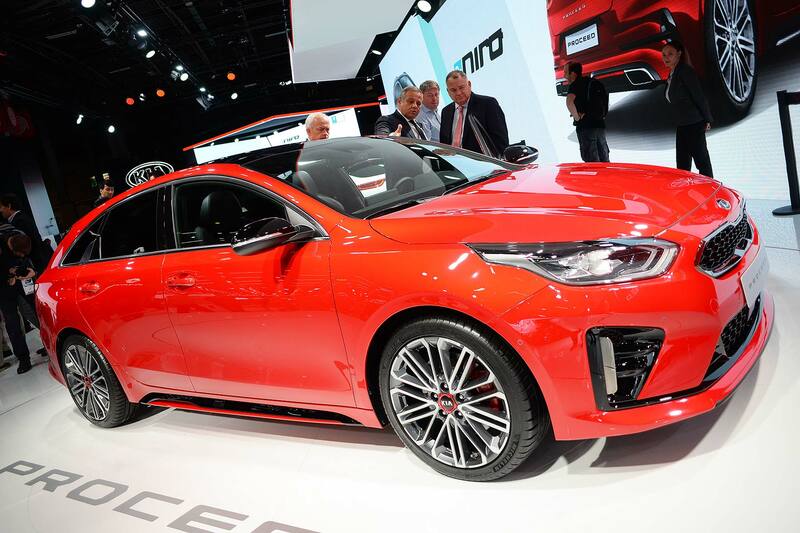 After the stunning Kia Proceed concept unveiled at last year’s Frankfurt motor show, it’s hard not to be a tad underwhelmed by the production Proceed. It’s nice enough, but having seen the concept, this is a little like being promised a box of Quality Street only to find it filled with green noisette triangles. Kia also deserves a slap on the wrist with a toffee finger for daring to call the Proceed a ‘shooting brake’. It isn’t. In fairness, the Slovakian-built estate/wagon/tourer looks good, especially in GT trim, and it’ll come with a decent warranty. Kia’s warranty may have been mentioned a few times before. Many manufacturers have chosen to stay away from Paris, focusing their efforts on their own events and smaller shows. 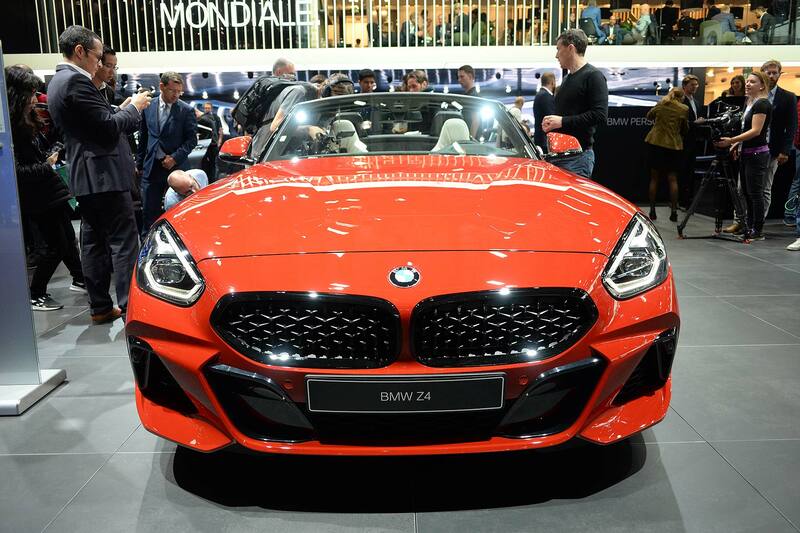 Meanwhile, BMW decided to unveil the new Z4 at the Pebble Beach Golf Links in California, arguably a more suitable location for a sports car designed with sunshine in mind. Developed in partnership with Toyota – a Supra coupe will follow – the Z4 has a 50:50 weight distribution, a central seating position and a low centre of gravity. Crucially, the folding hard-top roof has gone, ditched in favour of a more traditional and lighter soft-top. 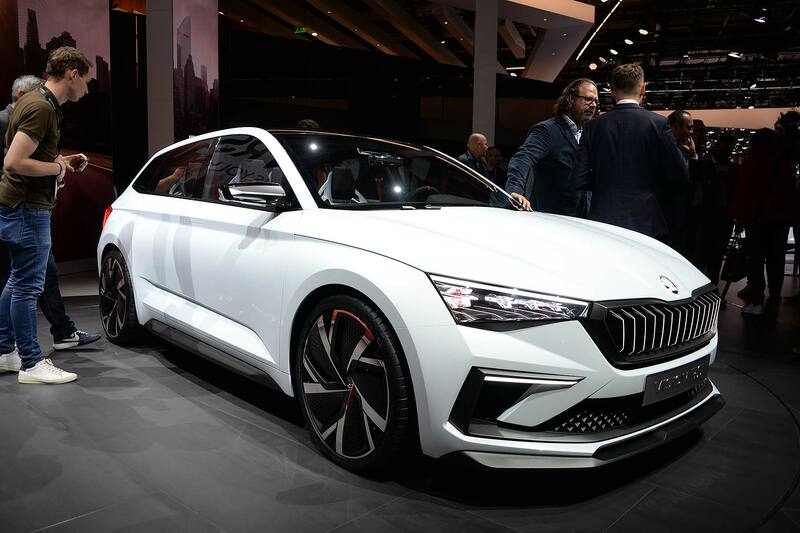 Meet the Skoda Vision RS. 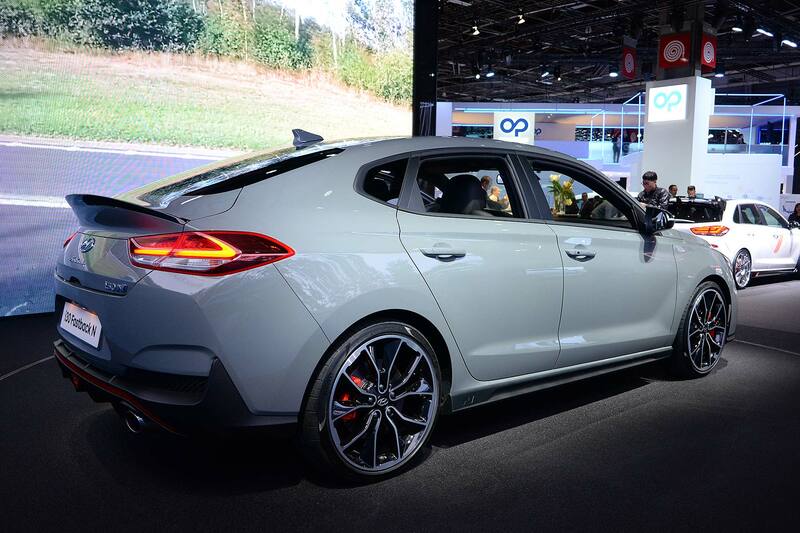 It’s a five-door hatchback that’s roughly Volkswagen Golf-sized, with a plug-in hybrid drivetrain putting out 250hp for 0-62mph in around seven seconds. It also has a 43-mile electric range, emits 33g/km CO2 and, oh yes, is as practical inside as any good Skoda ought to be. It could be the perfect eco-friendly range-topper for a new and improved line of Skoda family hatchbacks. Why is Skoda telling us so much about the Vision RS? Because it’s not going to be a vision for long. This car will go on sale in the first quarter of 2019, giving the firm a genuine VW Golf rival for the first time. We’re sure it’s going to do great business for the Czech firm. 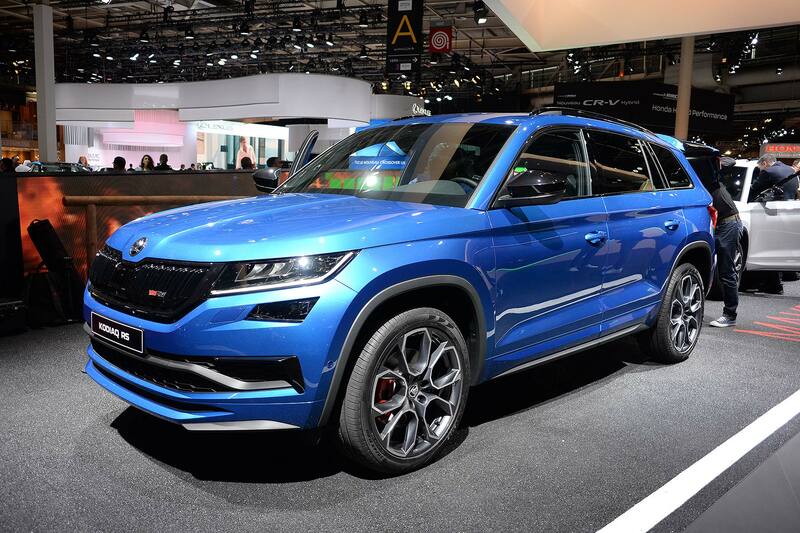 No seven-seat SUV has driven around the Nurburgring faster than the new Skoda Kodiaq RS, which instantly gives it a certain type of bragging rights. Having Sabine Schmitz behind the wheel helped, but so too did a 240hp twin-turbo 2.0-litre diesel engine, with a huge slug of torque, DSG gearbox and all-wheel-drive traction. So it goes well. It also looks good, particularly in this metallic blue colour, with those wheels. Sensible, good value family-focused motoring just became a whole lot more exciting.